If you are looking for healthy Golden Retriever dogs for sale you have come to the right place, it is important to consider from where you will obtain your dog. You need to figure out if you are going with reputable breeder or a Golden Retriever adoption rescue center. Here we show you how and where to find the best Golden Retriever breeders. If you want to buy Golden Retriever puppies for your family, you should consider who will be the primary caregiver. You or your family must be willing to devote the time and energy necessary to guarantee your Golden’s health and happiness. Puppies require a lot of attention and care and should not be left on their own for long periods. If you are unable to commit to the needs of a puppy consider looking for a mature Golden retriever for sale from a Golden Retriever rescue center. There are plenty of expenses ahead so evaluate your budget; ask yourself if you really can afford a dog. You should do some homework and learn about Golden Retriever facts and information to ensure this is the right breed of dog for you. 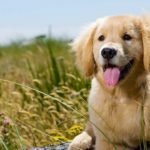 The bonus of selecting a purebred Golden Retriever is their predictability in size, coat, care needs and temperament make this decision a little easier. Where can you find Golden Retriever dogs for sale? Area kennel clubs are excellent sources of information about local breeders. Obedience training clubs in your area may also offer advice and recommendations for breeders. Veterinarians, groomers, boarding kennel operators, and pet supply outlets can also be good sources of information. Using newspaper classified ads to locate a breeder is a gamble. Few responsible breeders advertise their Golden Retriever dogs for sale in local classified ads because they have no trouble placing their dogs, sometimes years in advance. Beware that most breeders who advertise their dogs for sale in these sections are amateurs who know little about their breeds. Pet shops and internet advertisers may obtain their dogs through puppy mills so please be vigilant and do not support this trade. Continue scrolling to watch Oprah’s episode on puppy mills. Ignorance is no excuse to allow the puppy mills to continue. If you want a champion Golden Retriever expect to pay from a few hundred to a couple of thousand dollars. A pet quality dog (that you plan on spaying or neutering) is a lot cheaper and easier to find. The best Golden Retriever breeders should not be charging show dog prices for a pet quality dog. Both parents are required to be American Kennel Club (AKC) registered in order for the puppies to qualify for their AKC paperwork. AKC registration simply means the sire and dam of your dog are the same breed. It does not guarantee health, temperament, or breeding quality. Top rated Golden Retriever breeders are conscientious with a long-term commitment to the breed. 2. Look around and be selective. You may have to be on a waiting list for Golden retriever dogs for sale, for a healthy dog is worth its weight in gold. You’ll want to know how long the person has been breeding and whether he or she is a member of an AKC parent club or any other dog-related organizations. If the Golden Retriever breeders seem to be having a lot of litters per year and aren’t showing their dogs or bettering the breed in any way, they may not be a good breeder. 3. Watch out for over-breeding too closely genetically. Over-breeding can bring out faults in dogs. (Example, Son to Mom, Dad to Daughter, Brother/Sisters… etc.) It can be normal to see it once or twice on a pedigree that goes back 5-6 generations, but if it’s every other generation on both sides, the Goldens may end up being too inbred and health flaws may start to happen. No matter how careful Golden Retriever breeders are, sometimes purebred Golden Retriever dogs for sale will have health issues prone to their specific breed. Knowing the parents and grandparents history can help reduce the likelihood of the puppy having health issues. 4. 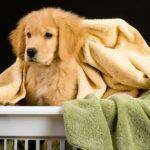 The best Golden Retriever breeders will take back a puppy at any time in their life. Many will have a health guarantee for a year with a contract stating how it will be honored. The breeder should be able to explain how they carefully planned their breeding(s). Breeders can utilize genetic testing of their breeding stock to reduce the incidence of disease in their puppies. 5. A good breeder wants to know about YOU, your family and where their puppies are going. 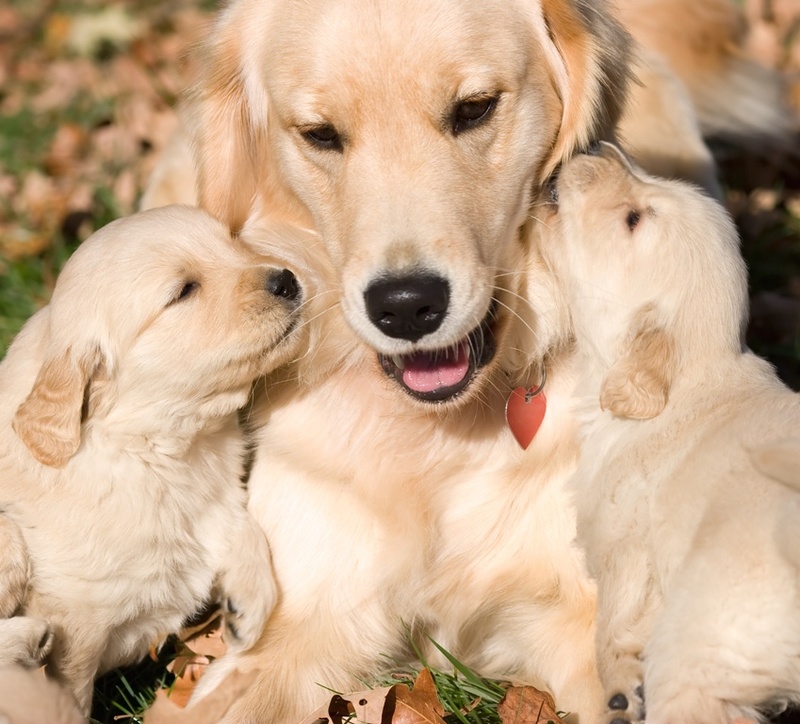 The best Golden Retriever breeders won’t part with their puppies before 7-8 weeks, as important socialization happens between 5-8 weeks with the other babies and their mom. Puppies sent home before 7-8 weeks may end up having socialization issues and/ or health problems too. Good breeders will tell you to wait until your puppy has had its first sets of shots before taking it out in public at around 12 weeks. If a breeder doesn’t seem to care where their golden retriever puppy is going they may just be in it for the money, reconsider this particular breeder. The best breeders will take the time to talk to you about their dogs, training, food, vet care, and anything else that comes along with owning a new puppy. And now over to Oprah for the final word on puppy mills…..
oLearn about the dog breed and the costs involved. Do you have the time to devote to your new family member? Choose your Golden Retriever breeders carefully and responsibly to ensure a happy and healthy dog.If you are looking for Golden Retriever dogs for sale, choosing and caring for them is a big commitment, so take your time and do your research. When you find your own Golden to love, visit our page on Golden Retriever names and let us help you choose an awesome name for your new best friend! THIS Pup Jumps Into His Brand New Bath Tub. What He Does Next? Hilarious!